Over the years I have been able to interview lots of cool people about the topic I love the most: being. While I have done tons of talking to folks for various projects (see About This Situation), some interviews have been actually paid for and read by real people. The Sun Magazine, a publication I have a real love/hate thing with, has both published and killed (with a reasonable kill-fee, I’ll give them that) the majority of them. I am going to begin posting these juicy conversations, but be warned: they are LONG! The final pieces run 10,000 words, and here I am going to share the entire transcripts because I think they’re worth it. BETHANY: How did you get so confident? SAM HARRIS: How did I get confident? SAM HARRIS: I’m just seeing – I’m just calling it as I see it. I mean, the religious divisions in our world are so transparently obvious. BETHANY: But doesn’t any part of you wonder? SAM HARRIS: Wonder about whether Jesus might be the son of God, and maybe he is coming back in 50 years? 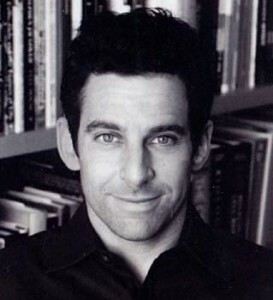 SAM HARRIS: Well, I don’t know. It’s not obvious to most people. BETHANY: Well, right. But I guess for me, I’m always wondering – I don’t believe that Jesus is going to come down like a superhero. And part of me doesn’t believe that other people really believe that either. BETHANY: But there’s something else happening for so many of these people. I mean, you use words like “unintelligent” very freely. And I’ve sat in rooms of people who, I look around, and I wonder. SAM HARRIS: Yeah. It’s really possible to be very intelligent, and believe that Jesus is going to come back in 50 years. I have no doubt about that. I get the craziest e-mails from highly intelligent people. And – you know, I just got an e-mail from a guy in – a biomedical physicist, working under another biomedical physicist, brought to a conference of physicists where he was the only atheist in a room of five physicists, all talking about the literal truth of Scripture. You know, it is possible to be very smart, to have been successfully brainwashed. Because of these variables. Because of the fact that religion appears to be the only game in town for people, when it comes time to deal with the reality of death, or to talk about spiritual experience, to talk about ecstasy and devotion, and the meaning that they’re looking for in life. And it’s a real cultural problem, or problem of secular discourse, that we don’t have other ways of talking about these things. BETHANY: I guess I’m just impressed and envious that you can so freely make your observation. And stick with it. And say, “This is unintelligent.” It feels more mysterious to me.